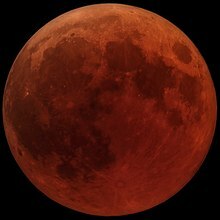 The last Super Blue Blood Moon Eclipse until 2032 will appear on January 20th, and will definitely be a sight to see. This somewhat rare eclipse is caused when “Earth’s shadow blocks the sun’s light, which otherwise reflects off the moon” according to Space.com. This moon will appear much bigger and brighter than normal because of its abnormally close proximity to Earth; while the moon passes into Earth’s shadow, the light reflected form the lunar surface becomes refracted by the atmosphere, similar to a sunset, and appears red due to Rayleigh scattering of blue-spectrum light. This eclipse on the night of January 20th will take place between approximately 8:40-9:40 PM. This opportune event is taking place on the Sunday just before Martin Luther King Jr. Day, so it is perfect time to stay out late and enjoy the night sky- since there won’t be school the next day! While the point of totality will be in Cuba, California will still see a decent amount of coverage of the moon. Watching this eclipse with family or friends will be a great way to start off the new year and enjoy nature beyond Earth’s surface.